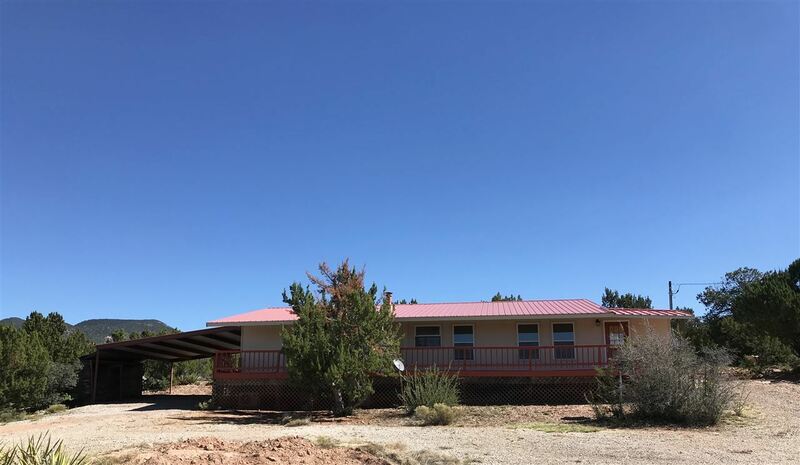 A Private Hidden Jewel located off the Beaten Path Of Traffic Among the Scent of Beautiful NM Trees & Foliage with the Most Amazing Views Waiting For YOU! This 15 Acre Home Offers 3 Bedrooms 2 Full Baths, Open Living / Dining Area with Wood Burning Stove, Kitchen W/Brand New SS Appliances, Huge Pantry, South Facing Sunroom to curl up and read in, WS, Brand New Inverter Systems in each Room for Heating & Cooling, Expansive Covered Deck to Capture our Southwest Beauty & Hiking Trails to Call Your Own ! Utilities: Septic System, Public Electric, Well, Domestic, Satellite Sys.